Enjoy the flexibility and efficiency you need to prepare holiday meals and everything in between with this 5.1 cu. ft. capacity freestanding gas range. Toasting a large batch of garlic bread or melting cheese on burgers for the whole family is easy with the full-width under-oven broiler, which provides enough space to broil an entire rack of food. Multiple Power burners with up to 15,000 BTUs are perfect for high heat tasks like searing and frying, while continuous, satin-finish cast-iron grates let you slide heavy pots and pans to the optimal cooking location. The upswept, porcelain SpillGuard cooktop contains spills for easy cleanup. Plus, you can monitor cooking progress without opening the door and disturbing the oven temperature with the large oven window. Delivery and hook up of non built-in refrigerators, washers, electric dryers, free standing electric ranges and freezers on main floor or in basement or upstairs (1 flight) of residence. Haul away of current appliance (a like item) will be automatic and at no additional cost. Your inspection & satisfaction (or refusal) prior to signing delivery paperwork. Ice/Water connection: A water supply shut-off valve for a refrigerator needs to be on the same level as the refrigerator and in close proximity. The delivery team will connect the ice maker to the water supply line. If you do not have an in-house water supply line for the refrigerator, you can contact a local plumber. Knock out for drain hose must be removed or delivery team cannot hook-up washer. Electric dryers will include electric cord (3 or 4 prong) or gas connector and dryer vent kit. Dryer operation requires 30 amp 120/240 volt minimum. The delivery team will only connect your dryer to proper outlets. Dishwashers ship with the direct wire hook-up configuration. Dishwasher install kit not included. Delivery team is unable to install dishwashers as they are considered a built-in appliance. Delivery team will haul away current dishwasher that has been un-installed prior to delivery. B3 Electric Free Standing Ranges include appliance power cord (3 or 4 prong) and the anti-tip bracket. 240 volt electrical outlet is required within 3 feet of the product. Delivery teams will only connect to an approved outlet. Existing appliance power cords cannot be re-used. Delivery team will not directly hardwire a range into the wall. Important: Delivery team will install anti-tip brackets on free standing electric ranges. The new appliance will be uncartoned, positioned in place, leveled and plugged in. Racks and shelves, thermostats are set to manufacturers recommended positions and settings. A 3-prong, grounded electrical outlet must be within reach of the appliance power cord. Delivery team will haul away current freezer that has been un-installed prior to delivery. Delivery team is unable to install Microwave Hood Combo as they are a built-in appliance. Delivery team will haul away current MHC that has been un-installed prior to delivery. 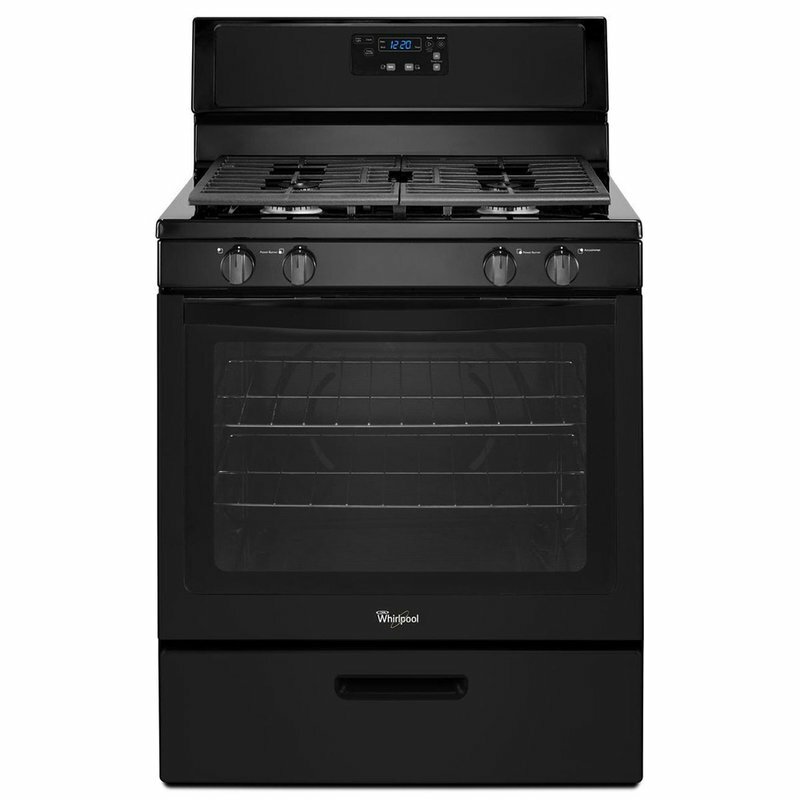 Delivery team is unable to install Cooktop as they are a built-in appliance. Delivery team will haul away current Cooktop that has been un-installed prior to delivery. Delivery team is unable to install as they are a built-in appliance. Delivery team will haul away current Oven that has been un-installed prior to delivery. Installation of Gas Dryers & Ranges are based on legal codes established by each state or locality and cannot be installed by the delivery team. Remote stateside areas do not offer delivery. Please call 1-877-810-9030 to verify Whirlpool can deliver to your zip code. Please provide your correct "ship-to" address and accurate phone number to expedite delivery. After your order has been placed and has arrived at the delivery warehouse, they will contact you directly with your delivery appointment information. Their hours of operation are Monday through Friday from 8:00 A.M. to 5:00 P.M. If for any reason your delivered Whirlpool order is unacceptable, please refuse the delivery and contact MyNavyExchange.com for further assistance. A warranty service appointment must be scheduled with Whirlpool for a malfunction/defect before a replacement can be considered. Please call Whirlpool 1-800-253-1301 to schedule your service appointment. Due to frequent changes in technology, model numbers may change.